The joint highest Premier League wage earner has failed to impress the fans and the manager with his performances this season. 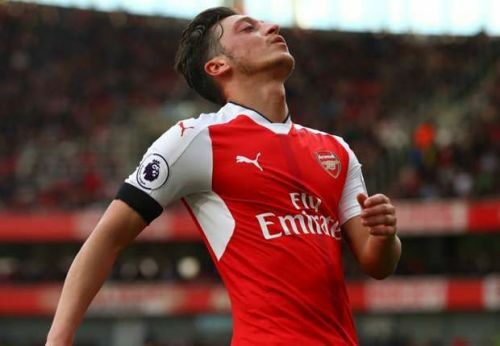 With the burden of Ozil’s heavy wage on his shoulders, Emery could decide to get rid of this world cup winner in the coming window and replace him with a more efficient player. Villarreal’s Pablo Fornals can take up this attacking midfield role quite well. The Spanish international has been one of Villarreal’s best players this season. He is a classic number eight who likes to set up goals for his teammates. His vision might not be as great as Ozil but it is good enough to make him one of the most creative midfielders in La Liga. The 23-year-old has thrived in the yellow shirt since joining the club back in 2017. He has been tremendous for his team in the Europa League this season with a lot of consistent performances in Europe which have attracted the interest of many big clubs on the continent. Fornals is a top-class attacking midfielder who likes to dribble past players. With his incredible passing skills, he knows how to pick out the killer pass to set up goals for his teammates. The Spanish international also thrives with his defensive contribution to the team. He is very good at making important blocks and interceptions in the center of the pitch. The Yellow-Submarine superstar is quite unpredictable when he has the ball at his feet. He has great finishing skills with which he torments opposition defenders and goalkeepers. At Arsenal, Unai Emery would be happy to work with this hard-working player. Selling Ozil to get him will save The Gunners a lot of money. Fornals can adapt to Emery’s style pretty quickly. His attacking skills are likely to cause problems to the Premier League defenses. The Spaniard has the potential to become a great player at the Emirates and with his decent linkup and intelligence, he would be a huge compliment to the likes of Pierre Emerick Aubameyang and Alexandre Lacazette in North London. 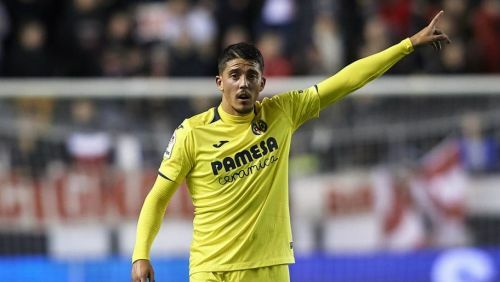 A move to the Emirates would be just perfect for Pablo Fornals. Playing under Unai Emery would help him develop his game to the next level while the competitiveness of the Premier League will also make him stronger and build up his potential. Arsenal look like the best destination for Fornals to start the next chapter of his footballing career. The Spaniard ticks all the boxes for Emery and Arsenal and he would be a perfect replacement for Mesut Ozil at the Emirates.